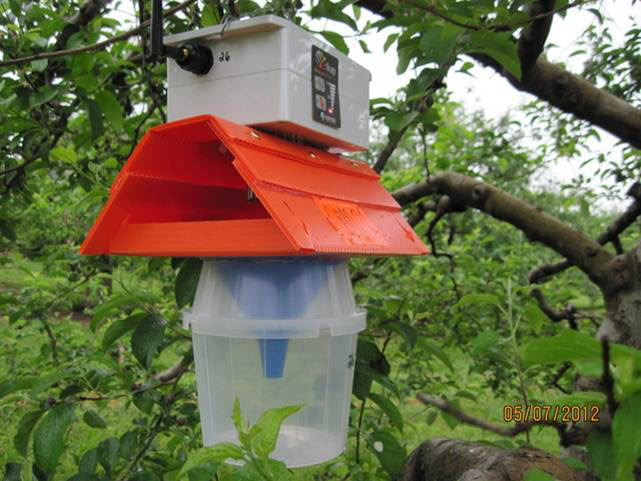 Electronic trap for automated, real-time monitoring of insect populations in the high-value specialty crops and incursion monitoring in remote border location where frequent manual monitoring is either impractical or expensive to operate. Currently beta testing the Z-Trap for Codling moth, Oriental fruit moth, Light brown apple moth, Fruit flies and Carob moth here in Australia. For further enquires please contact head office on 1800 634 204.